There are essentially two markets for carpet cleaning franchises—residential and commercial. As a speciality service, carpet cleaning is more resistant to economic downturns than more traditional cleaning services, particularly those that cater only to the residential market. Professional carpet cleaning can actually save consumers money, by returning carpet to its original appearance for less than the cost of replacing the carpet, making this franchise opportunity appealing to anyone wanting an easy way to freshen the appearance of their homes or businesses. Several kinds of carpet cleaning franchises are available to interested entrepreneurs, including hot water extraction (also known as steam cleaning), carpet shampooing and dry carpet cleaning. What's more, as consumer have become more focused on the environment and the chemicals they and their families come in contact with, a new niche for more green carpet cleaning options has arisen. The Carpet and Rug Institute (CRI) found that 51% of the total U.S. flooring market is carpet. Studies cited by the CRI have shown that carpet can be 65% less costly to maintain than hard surface flooring, making a carpet cleaning franchise a profitable investment. 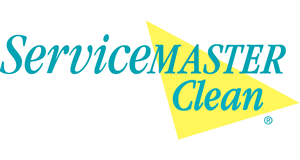 A carpet cleaning franchise also provides the opportunity for you to branch out into other specialty cleaning areas to grow your business, such as upholstery cleaning and maintenance of hardwood floor cleaning, too. Radican's America's Rug Cleaners franchise could be the business that takes you to a new level of success!